Maximum Speed: 40 MPH Length: 38' 0"
Train Brakes: Vacuum and Air Height: 13' 0"
Train Heating: None Width: 8' 7½"
D9531 arrived in Bury during 1987 wearing NCB dark blue livery. 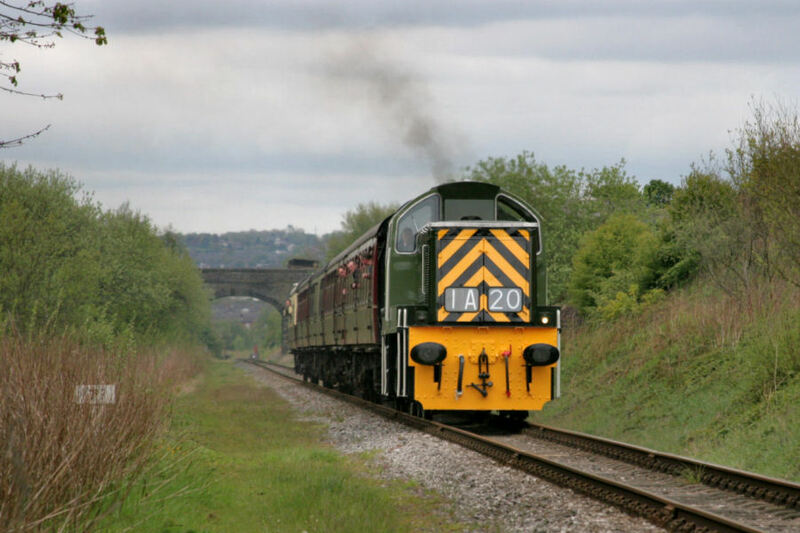 Following an intermediate overhaul including reinstatement of vacuum brakes D9531 was often used as the shunting loco around the ELR and saw extensive use on the preparations of the extension to Heywood. 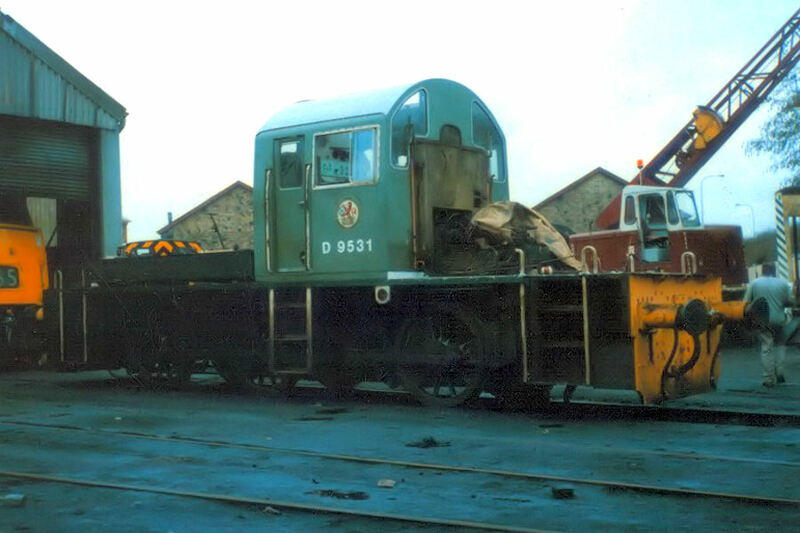 In 1997, D9531 was withdrawn for heavy overhaul work which saw the loco stripped right back to the frames. The rebuild also included a brand new dual brake installation allowing both vacuum and air operation. The 15 year project is documented at www.d9531.com. 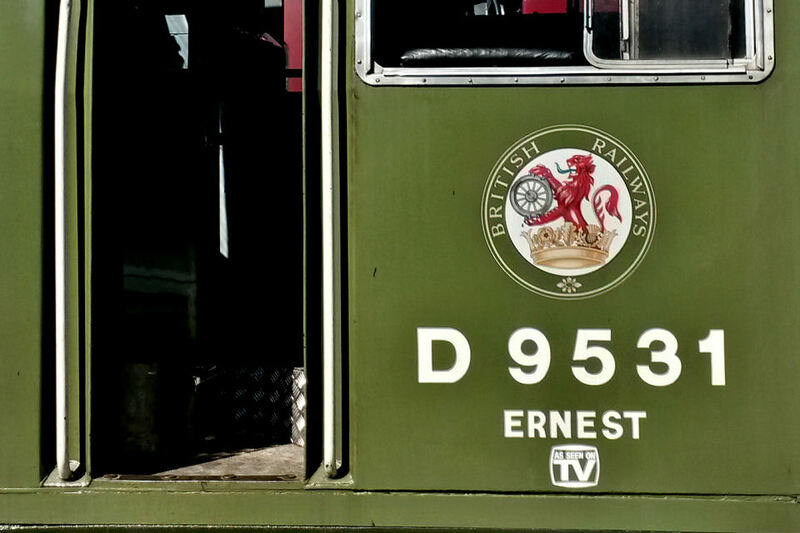 Nicknamed 'Ernest' during the restoration, D9531 returned to traffic on the 3rd of March 2012 running temporarily as D9556 (original class numbers D9500-55) to signify the effective new build. During 2013 the power unit was lifted to allow the flywheel anti vibration damper to be swapped out and the troublesome turbocharger bracket to be re-faced and refitted along with a few other outstanding tasks. 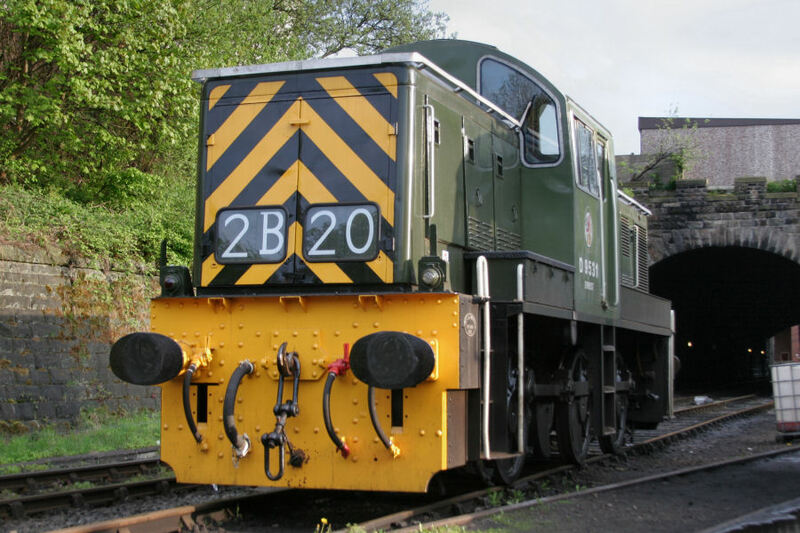 2014 saw D9531's power unit lifted again and the source of an oil pressure issue which had caused problems was traced and rectified. 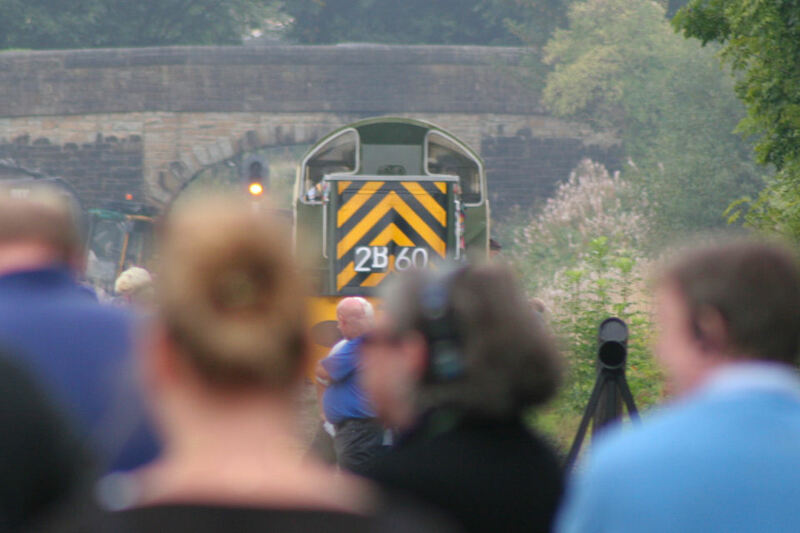 Ernest welcomed several classmates from further afield to the ELR for the 14s@50 event in July 2014. Later in 2014 fame on the television came for Ernest, starring in a Hollyoaks Special! 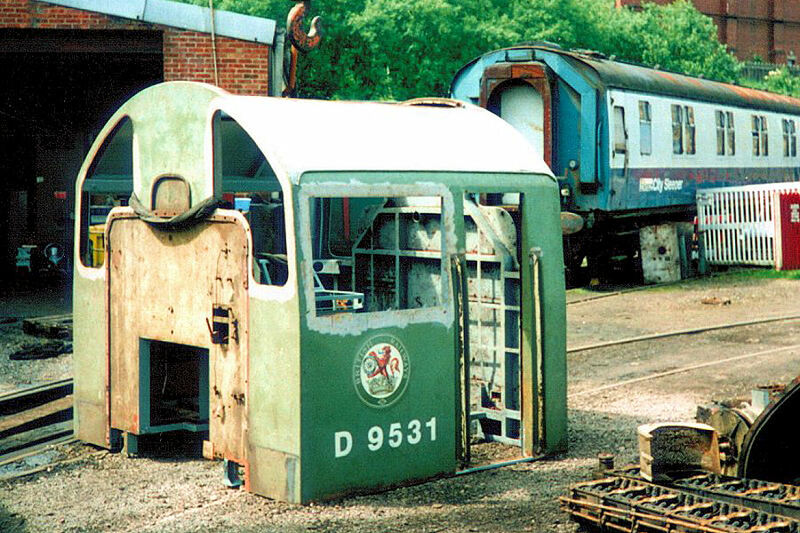 A very convincing mock-up of D9531 was spectacularly crashed on the Broadfield (Heywood) Section of the line with filming taking place for at least a week in September. 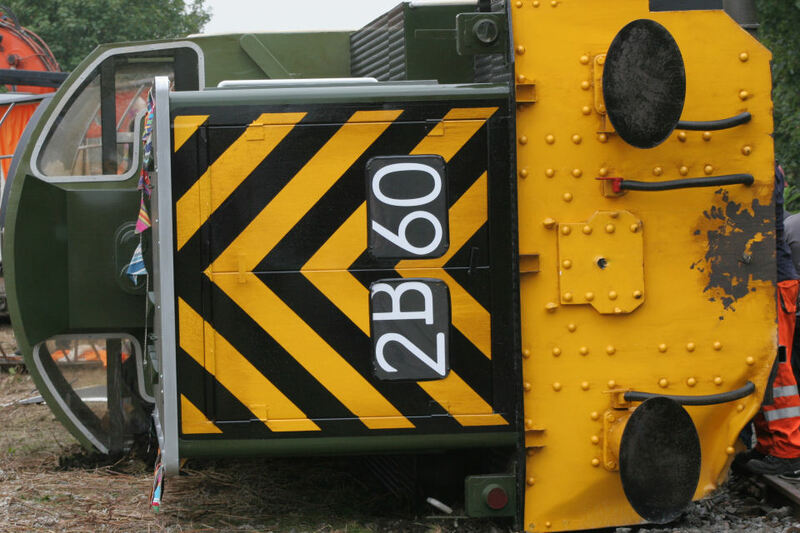 The real D9531 had a small 'As Seen on TV' sticker applied to the cabside following this! 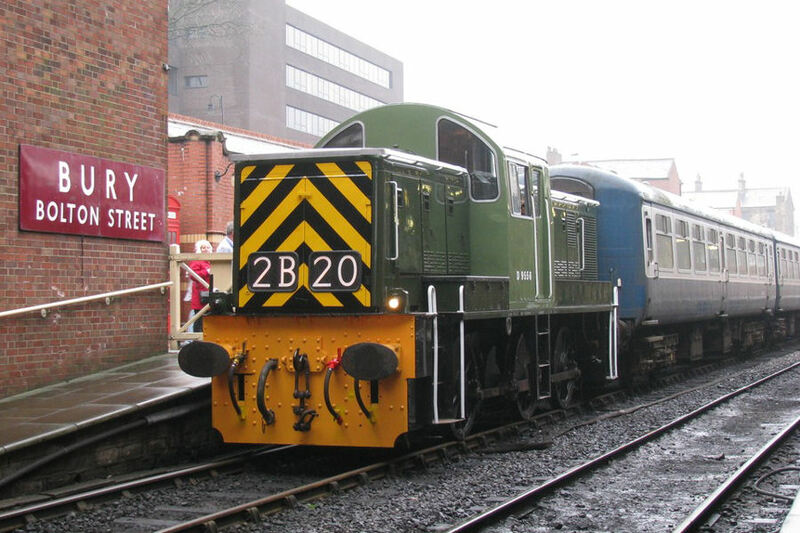 D9531 visited the Severn Valley Railway in October 2015, along with Hymek, D7076, for the SVR Diesel Gala. 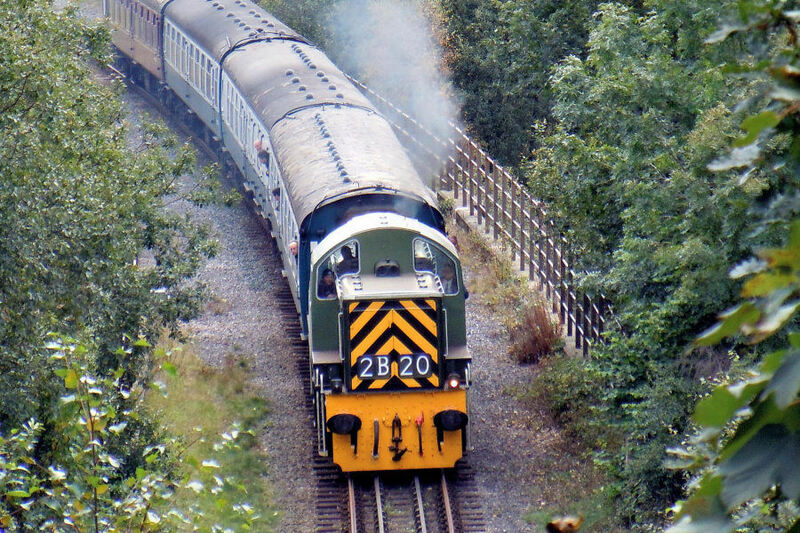 D9531 notably ran double headed with 'Clayton', D8568.